Symantec provide the premier in encryption technology and recognition for your brand. 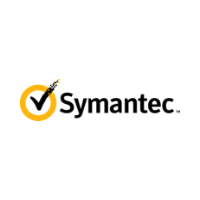 The Norton Secured Seal is part of the Symantec family of products. The seal is highly recognized due it’s presence on most major banking websites, PayPal and other major payment gateways. Make your brand trusted just like these. All Symantec products include a daily malware scan. Discover any active threats so you can take remediation actions and secure your website. Available with Secure Site Pro, Secure Site EV and Secure Site Pro EV the vulnerability scan is a weekly scan of your website. When critical vulnerabilities are discovered you receive an email report. Symantec certificates carry a minimum NetSure Warranty of $1,500,000 which is boosted to $1,750,000 for EV certificates. Full details of NetSure Warranty. All Symantec certificates are available as Multi-Domain and Multi-Server certificates. Contact us with your requirements for bespoke pricing.